This entry was posted in Better Angels Stories and tagged 343, 9/11, Battalion Nine, better angels, Dawn Siebel, Engine Co. 23, FDNY, firefighter, firefighters, firefighters of 9/11, Hector Tirado Jr., LODD, Manhattan, memorial, NFFF, paintings, portraits, World Trade Center, WTC. Bookmark the permalink. 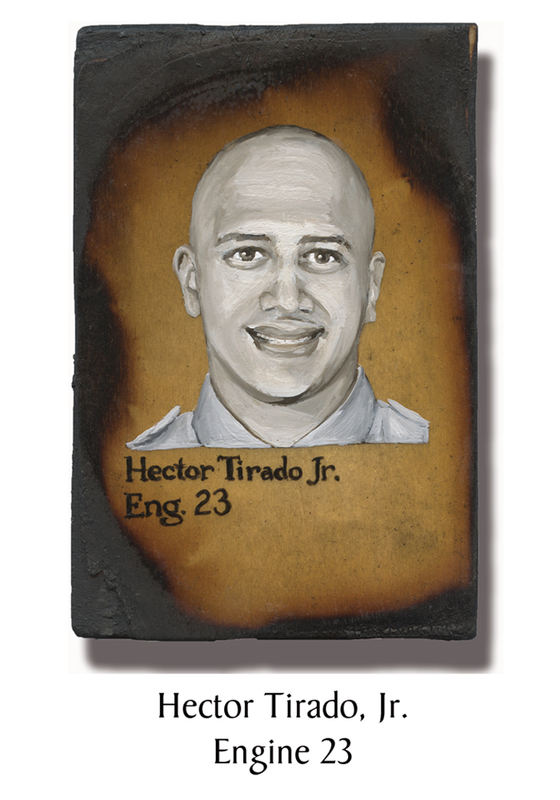 One Response to Firefighter Hector Tirado Jr.
That’s how I remember Hector – – as a very hard worker. When I first met him in EMS in the Bronx, I was very impressed with his work effort and how very passionate he was about helping people. In the fire academy I recall how he would always smile and laugh no matter how tough it got. Nothing ever seemed to bother him. I sure do miss him.